Male stalking trophy | IBEX HUNT, S.L.U. 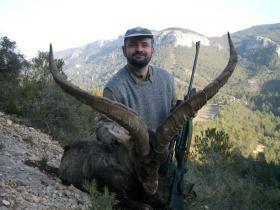 The reason for hunting these stags is trophy killing. Although they can be killed as of the age of 10 years, ideally animals of 12 or more years should be targeted, which are already outside the reproductive circle, so that we are acting like a natural predator before they die of old age. These usually represent 5/10% of the annual hunting licences in each reserve. The antlers will measure more than 60 cm, and their weight will be between 60 and 70 kg. The best time for hunting them is the end of November and during all of December.